The Indianapolis 500 is one of the biggest events of Memorial Day Weekend, but who wants to spend their Sunday cooped up inside? If you want to catch every moment of the exciting IndyCar action, you can stream the whole event to your computer or laptop, or take it outside on your phone or tablet. All you need is a high speed internet connection and the right television streaming app. NBC has the broadcast and streaming rights for the 103rd Indy 500, so 2019 is the first time in half a century that the race will appear on any channel other than ABC. That means you can catch the race on your local NBC station, stream it through NBC Sports, watch through a streaming service, or even catch the action through the official Indianapolis Motor Speedway (IMS) livestream. If you have a cable or satellite subscription, but you prefer to stream to your computer or laptop instead of watching on your television, you can use the NBC Sports live streaming website. This site provides free access to sports events that NBC has the rights to. You can use the NBC Sports live streaming website on your Windows, MacOS or Linux computer or laptop, with any modern web browser, as long as you have a high speed internet connection and a cable or satellite subscription. When you visit the official NBC Sports site, you'll see what seems to be a free live stream of the race. This is just a free preview, and it only lasts for a few minutes. If you want to lift the free trial video restriction, you need to log in through your cable or satellite provider, or find someone who is willing to lend you their password. Navigate to the NBC Sports Indianapolis 500 site. The player will load, and then the Indianapolis 500 live stream will activate as soon as the even goes live. If the above link doesn't work on race day, navigate to the NBC Sports Live site, and verify that the race is live. If it is, you'll be able to access the stream from the main NBC Sports Live site. If your preview runs out, and you have a cable or satellite subscription, you can scroll down and click VERIFY NOW. Log into your cable or satellite account. The live preview limit will be removed, and you'll be able to stream the entire event. What Streaming Services Include the Indianapolis 500? 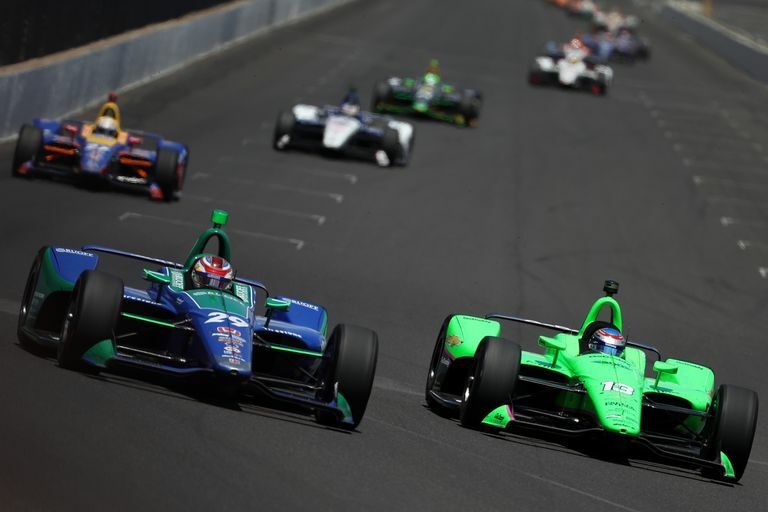 The best way for cord cutters to stream the Indianapolis 500 is to use a television streaming service. These services are similar to cable and satellite television, in that they offer live access to the same channels, but they use an internet connection instead of a cable or satellite television provider. Hulu with Live TV: NBC is available in most markets through this service, but there are still markets where it isn't available. YouTube TV: This service has the second widest coverage for NBC. PlayStation Vue: This service works well with PlayStation 4, but you can watch on your computer, phone, tablet, or even streaming device as well. DirecTV Now: You don't need DirecTV to use this service, despite the name. It's available to everyone in the United States, but it doesn't offer NBC in every market. Sling TV: NBC is available in a handful of large markets through this service. The price is good, so it's worth checking out if your area is included. fuboTV: This service focuses on sports related channels, but NBC is only available in select markets. Each of these services offers some type of free trial, so this is a good way to stream the Indianapolis 500 for free. In addition to streaming on your desktop computer or laptop, you can also use the same methods to stream the Indianapolis 500 on mobile devices, like phones and tablets. You can also watch on your television through a streaming devices, like the Roku or Apple TV, as well as gaming consoles. If you have a cable subscription, you can stream the Indianapolis 500 through the NBC Sports app. If you subscribe to a streaming service, or sign up for a free trial, you'll need to download the app for that specific service. We're including links to the NBC Sports app and the Hulu app, since Hulu With Live TV has the widest NBC coverage. Each of the other streaming services also has its own apps if you opt to go with one of them. Is There Any Other Way to Stream the Indianapolis 500 for Free? In addition to the official stream from NBC, and the streaming services that carry NBC and NBC Sports, you can also catch some of the action for free directly from the Indianapolis Motor Speedway website. If you want to watch the official stream, all you have to do is visit the IMS Livestream site on race day. The Indy 500 might be the main event, but the full Indianapolis 500 season is packed with a whole lot more action. It kicks off on May 14th with Opening Day, and concludes on May 26th with Indy 500 Race Day.